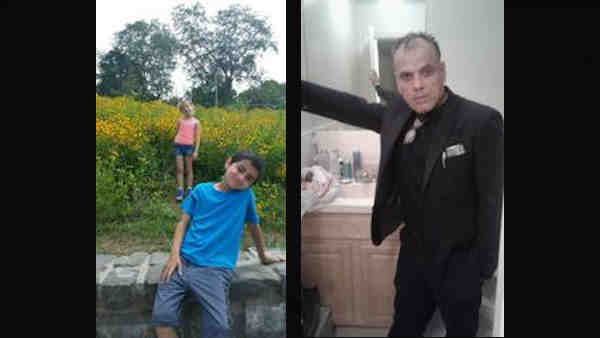 PERTH AMBOY, New Jersey (WABC) -- Police are continuing to search for the man they say abducted two children in New Jersey Friday but later returned them safely to their home. Middlesex County Prosecutor Andrew Carey and Acting Perth Amboy police Chief Roman McKeon said authorities are searching for 41-year-old Frank John, of Woodbridge, who has been charged with kidnapping and theft of a motor vehicle but remains at large. During the investigation, it was determined that John picked up a 9-year-old boy and his 8-year-old sister in Perth Amboy around 4 p.m. to take them out for food. When the children failed to return home, police were contacted. But the children were eventually brought safely home sometime between 8:30 a.m. and 9 a.m. Saturday. John fled the scene, and police since have been searching for him. John who also goes by the alias Frank Jace, is 6-foot-1 and 200 pounds. He has brown eyes and black hair. The vehicle he borrowed and failed to return is a silver Toyota Highlander with a New Jersey license plate J80-GVE. The investigation is active and is continuing. Anyone with information is asked to call Detective Mohammed of the Perth Amboy Police Department at (723) 442-4400, or Detective Ayala of the Middlesex County Prosecutor's Office at (732) 745-3600.